It is the richest, subtlest, and most various method to drive a solid and/or innovative Progression. Modulated to Am (replaced by alternative) with the design of bass step progression . The melody designs modulation by itself, the chord follows the altered by natural Progression and brings a contrastive climax. 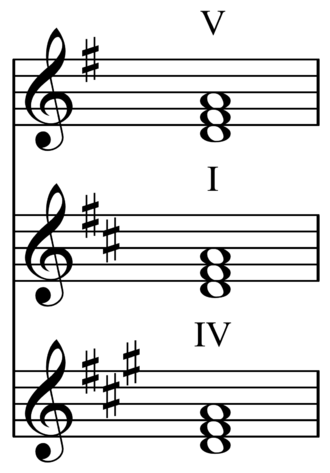 The basics and the techniques are the same as major chord. The next example demonstrates a Progression from V to I, then goes to its major mode, then comes back. It is an extendedly advanced study, see "Fill in and ad lib Deaign".